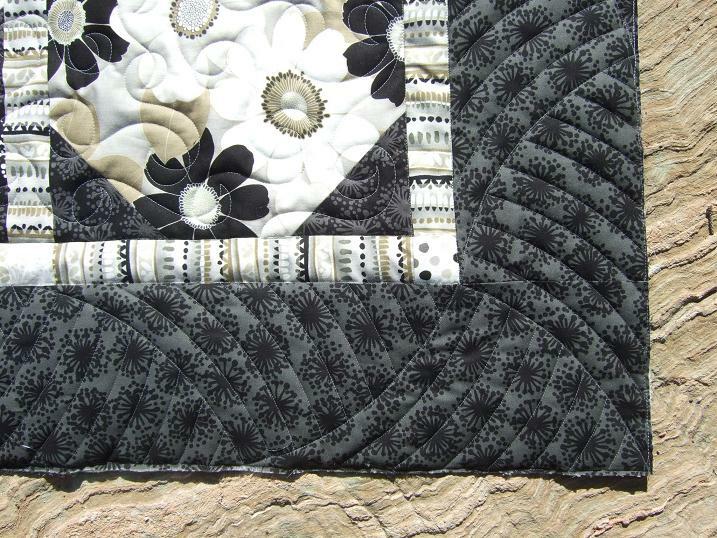 This is Nathalie's quilt and the pattern is called Arabella. 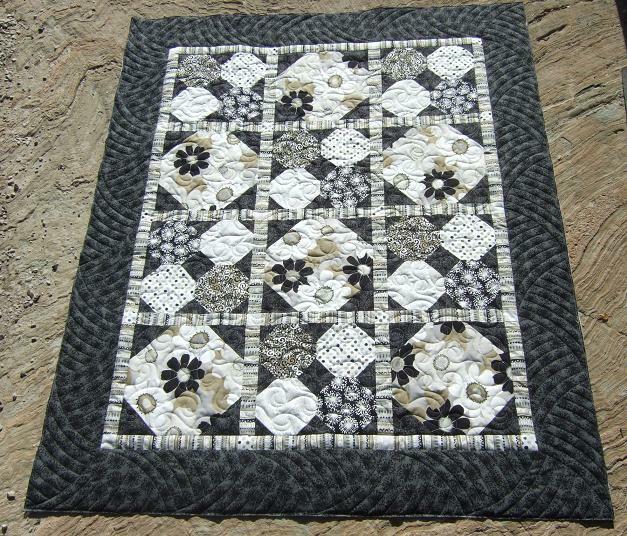 You can find the pattern free on Benartex website here. 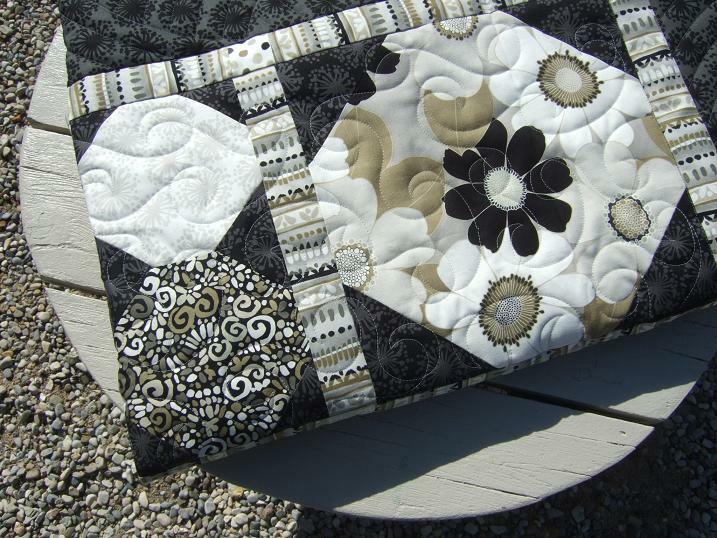 She used the fabric line that is on the pattern, it is called Habitat by Michele D'Amore. I quilted my favourite Echo Curves in the outer border using my curved rulers and then quilted the centre with a panto called Flirtatious. I had a special package arrive in the mail today all the way from Australia. I knew the package was coming but had no idea just what was inside. My friend Desley send me a box full of quilting and candy goodies in exchange for a few tickets on our guild's Bargello quilt. I had a lot of fun opening the box and seeing all the different candy and cookies we do not have in Canada. I have tried a few so far but want to make them last as I can't just run to the store to buy some more. But I'm sure they won't last long as I have no will power and my boys are enjoying them too. Munch munch... those Tim Tam's are delicious...munch munch munch. Oh I like your echo curves on that border-love those fabrics too! Love your border on that quilt! And that basket of goodies looks so good. 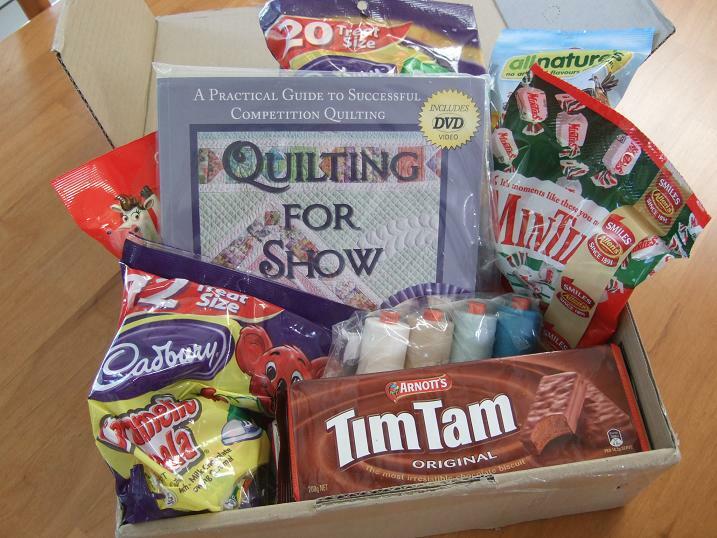 I would love to try some Australian goodies!